NEW PORT RICHEY — The final go-round for Ridgewood High School sports, from the emotional boys basketball playoff finale to the last pitch at Beets Field, calls for a keepsake of sorts. We've taken a stab at creating one. No way we'd let the final buzzer sound — Ridgewood will be reopened as a technical school with no athletic program after this school year — on the program without dusting off the rear-view mirror and gazing back as far as 1983. Here's a last look at the top players, performances, coaches and captivating moments in Ridgewood lore. Larry Beets, baseball. Having a field named in your honor is nice, but when a bobblehead is crafted in your likeness, you've pretty much reached immortality. Beets started Ridgewood's program from scratch and won 565 games (with a state title game appearance) in 28 seasons. His mantra — Hit the Top Step Running — has become a life motto of sorts for hundreds of those he coached. 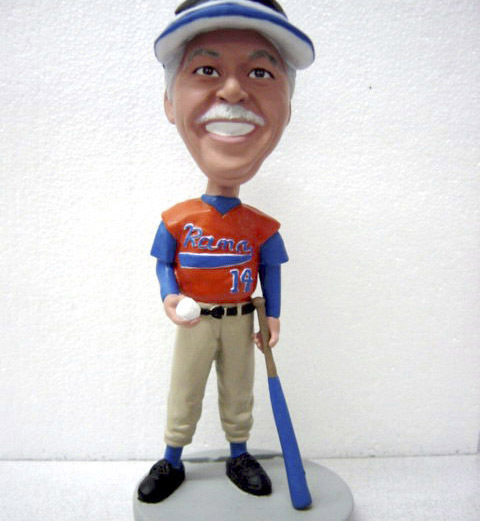 Bobblehead doll of Ridgewood baseball coach Larry Beets. Glenn Cable, track/cross country. From a championship perspective, no Ridgewood coach was more successful. Before a frightening car accident forced him to retire, Cable led the boys cross country team to a pair of state titles and two runner-up finishes in the 1990s; and the girls to a pair of second-place trophies the same decade. Marlyn Bavetta, volleyball/softball. Before shoulder surgery prompted the Rams' most versatile coach to step down, she compiled a 271-107 record with a state title in softball. Bavetta also spent nearly a decade as Rams volleyball coach and helped husband Jim run the girls hoops program. Sue Vien, girls track and field. Actually, Vien's tenure at Ridgewood pre-dates its existence as a high school. She helped it transition from a junior high, then went on to guide her program to 15 conference titles. She also started the Rams' swim program. Gary Anders, boys basketball. Like Beets, this guy became so synonymous with his sport at Ridgewood, they named a playing surface (in this case, a gym floor) in his honor. Anders had been out of coaching for a year when former Ridgewood principal Wendell Krinn pleaded with him to take the Rams job in '87. He stayed 23 seasons, reached the playoffs 10 times and totaled 479 wins. 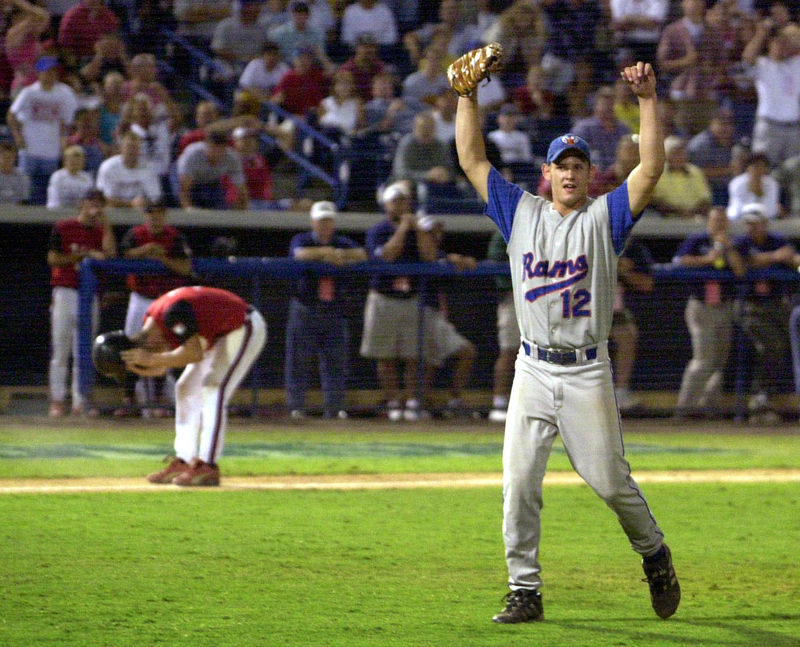 Down goes Dunedin (2002): The baseball team's lone state tournament appearance seemed a one-and-done proposition to most outside of Port Richey. Facing unbeaten Dunedin (ranked second nationally by Baseball America), the Rams got a four-hitter from left-hander Ronny Lowe in a 3-1 upset at Tampa's Legends Field (now Steinbrenner Field). The Falcons loaded the bases with two out in the final inning, but Lowe forced Steve Doetsch to hit a line drive that first baseman Danny Lotz snagged. The victory was the school-record 27th for Ridgewood, which would fall short of No. 28. Jacksonville Bishop Kenny trounced Ridgewood, 13-0, in the Class 4A final. A work of Art (1991): With less than a minute remaining in the 171-pound Class 3A state final, chiseled Auburndale sophomore Victor Johnson — a district and region champ with a 30-2 record — had a 13-4 lead on Ridgewood's Art St. Hiliare. But instead of going conservative, Johnson shot for the leg in what turned out to be a fatal flaw. St. Hiliare applied a headlock, then a leverage move called a pancake, and pinned Johnson with 36 seconds remaining. To put the magnitude of this upset in perspective: Johnson responded by winning state titles as a junior and senior, and mauled Kathleen's Ray Lewis — yes, that Ray Lewis — in the finals of the 1993 Polk County Invitational. Playoffs?! You betcha (2002): The Rams football team vanquished 19 years of misery and mediocrity, clinching the first of the program's only two playoff berths with a 19-14 win at Central on Nov. 1, 2002. Sean Jester's 12-yard touchdown run with 5:12 remaining put the Rams ahead, and Anthony Ponds' fumble recovery inside the Ridgewood 30 with less than 2 ½ minutes to go sealed the deal. "We decided to do it in typical Ridgewood fashion," Rams coach Troy Cornwell said. "It wasn't pretty, but it was effective." Triumph in triplicate (1997): We'll let posterity deliberate over which Rams team or athlete had the greatest season, but exactly no one will argue about who had the most dominant day. On a mid-May afternoon in Gainesville, nationally ranked junior Char Foster transformed the Class 5A state meet into her personal sprint-hurdling showcase. 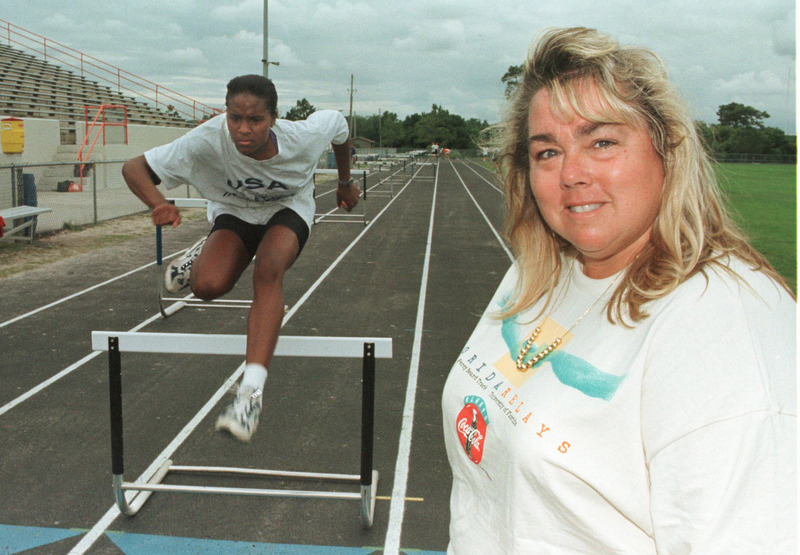 A Clearwater Central Catholic transfer, Foster set what was then a state meet record in the 300-meter hurdles (41.72 seconds), established a 5A record in the 100 hurdles (14.07), and won the 200 — her least-favorite event — by roughly five meters. Unfortunately, there would be no attempt at an encore in '98. Foster, who ultimately signed with South Carolina, missed the postseason as a senior due to knee tendinitis. Resilient 'til the end (2018): Even in the school's waning stage, Ridgewood's heartbeat seemed stronger than ever. Case in point: The Class 6A region semifinals, where the Rams boys basketball team rallied from an 18-point first-half deficit for a 66-60 triumph at Nature Coast. Down by 12 at halftime, the Rams allowed only five second-half field goals and forced 10 turnovers, setting up arguably the most emotional night in Rams hoops history a few evenings later. 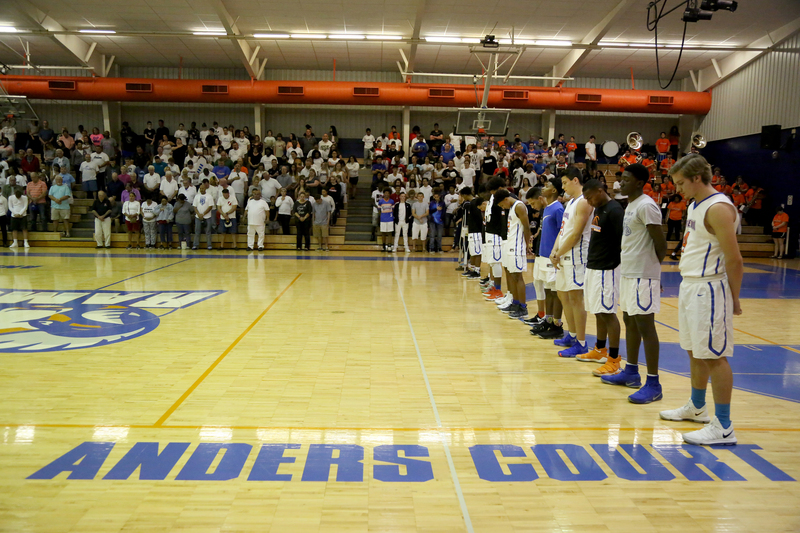 Approximately 1,500 spectators shoehorned themselves into the Wendell L. Krinn Gymnasium for the region final against Palatka, where the Rams attempted to send the program out in surreal fashion with its first state tournament berth. Alas, Palatka prevailed, 64-51, but the tenacity, turnout and tears of those last two contests represented a final flourish of the Ridgewood pride fostered over 3½ decades.